자녀의 PC와 스마트폰 관리를 한번에, 더 스마트해진 엑스키퍼 관리도구! 엑스키퍼 PC와 엑스키퍼 모바일을 한번에 관리할 수 있는 엑스키퍼 관리도구가 더 쉽고 똑똑해졌습니다. 엑스키퍼 관리도구로 자녀의 PC와 스마트폰 사용시간 관리, 유해물 차단 등 엑스키퍼의 모든 기능을 언제 어디서든 편하게 설정하고 보고서로 확인해보세요. ※ 엑스키퍼 관리도구는 엑스키퍼의 부모용 앱으로, 엑스키퍼 PC나 엑스키퍼 모바일을 사용하고 계신 부모님이라면 누구나 설치하여 이용할 수 있습니다. ※ 엑스키퍼 관리도구는 자녀의 PC 또는 스마트폰에 1개 이상의 엑스키퍼(PC=엑스키퍼PC/스마트폰=엑스키퍼 모바일)가 설치되어 있어야 정상적으로 동작할 수 있습니다. - 일일 총 사용시간 관리 : 자녀와 함께 하루 사용시간을 정하고 정해진 시간만큼만 쓰도록 도와줘요. - 특정 시간대의 사용 잠금 : 수업시간, 수면시간 등 잠금시간대를 설정하여 해야 하는 일에 집중할 수 있게 도와줘요. - 인터넷 총 사용시간 관리/특정 시간대 사용 잠금 : PC 전체 사용시간과 별도로 인터넷 브라우저의 사용시간만도 꼼꼼하게 관리할 수 있어요. - 유해 사이트, 유해 동영상, 유해 UCC의 접근을 알아서 막을 수 있어요. - 게임 등 사용을 제한하고 싶은 특정 프로그램과 사이트를 등록하여 사용할 수 없게 할 수 있어요. - 포털에서 유해 검색어를 입력하면 검색 결과를 보여주지 않고 차단해요. - 자녀가 현재 PC를 어떻게 사용하고 있는지 실시간으로 캡쳐하여 확인할 수 있어요. - 자녀가 여럿인 경우, 자녀 별 PC 사용시간 및 유해물 차단 기능을 다르게 설정할 수 있어요. - 꼭 사용해야 하는 앱을 잠금 예외 앱으로 등록, 필요에 따라 24시간 자유롭게 사용할 수 있게 해줘요. - 유해 동영상, 유해 사이트, 유해 앱은 알아서 차단해줘요. - 부모님이 차단하고 싶은 특정 사이트와 앱이 있다면 함께 차단할 수 있어요. - 자녀의 현재 위치를 직접 확인 또는 자녀에게 전송을 요청할 수 있어요. - 미리 설정한 요일과 시간에 자녀의 위치를 자동으로 확인, 전송 받을 수 있어요. - 움직이면서 스마트폰을 사용하는 것을 감지하면 자녀에게 위험을 알리는 경고를 전송해요. - 부모님이 동의하지 않은 인앱결제(앱 유료결제)는 항 수 없도록 막아줘요. - 기기ID 및 통화정보 접근 : 로그인시 각 단말기와 사용자를 식별하기 위하여 기기ID를 필요로 합니다. 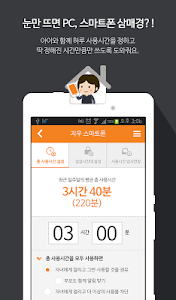 그러므로 기기ID 및 통화정보 접근 권한이 필요합니다. X-keepers management tools for the PC and the smartphone management of your child became once more smart! X X Kiefer management tool that can manage the keeper PC and mobile X-keepers have once been easier and smarter. X-keepers management tools anytime, anywhere easy set up all the features of the X-keepers, such as PC and smartphone usage time management, pest interception of a child and see to the report. 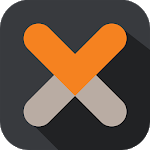 ※ X-keepers management tools with apps for parents of X-keeper, if the parents have been using a PC or X X keeper Keeper Mobile is available to all installations. ※ X-keepers management tools are one or more X-keeper to a PC or smartphone children (PC = x keeper PC / Smartphone = X Keeper Mobile) can be installed to operate properly. - Daily total use time management: Help me decide the working hours per day with your children to write as much as a specified time. - a lock for a particular time zone: Help me to concentrate on the one you need to set the lock time, including class time and sleep time. - Total Internet use time management / use a specific time lock: You can also meticulously managed separately from the overall PC usage time usage time of only an Internet browser. - I can take care prevent access to harmful websites, videos hazardous, toxic UCC. - It can not be used to register the specific program and the sites you want to restrict the use of games. - If you enter a search term in hazardous portal'm blocked without showing the search results. - I can see the children captured in real time how you are using your current PC. - You can set your child if several, differently each child PC usage time and pests off function. - registering the app you must use a locking exception apps, let me be able to use freely 24 hours as needed. - Hazardous videos, hazardous sites, let's take care of harmful app is blocked. - If a particular site and apps you want to block I block with my parents. - You can request a transfer to the current location of their children directly to confirm or children. - the position of the child in the day and a preset time automatically confirmed, it can get transmitted. - moving if it detects that you are using a smartphone, I'm sending a warning about the risk to their children. - In-app Billing parents did not agree (paid app payment) has blocked me so you can section. 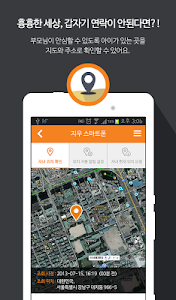 - Device ID & call information access: require a device ID to identify each device and the user at login. Therefore, you need a device ID and call information access. أغاني زهير بهاوي بدون نت "كاملة + كليبات"